Action Evangelism has been reaching out to villages, cities and nations since 1972. In the late 70's and early 80's extensive work in the Philipplines resulted in large crusades, nationwide television ministry and establishing churches. In 1985 God led Jerry Brandt to begin outreaches on the streets of San Francisco through his nightly television ministry in Northern California on channel 42. He began his "Schools of Evangelism" equipping churches in kingdom witnessing and training in evangelism resulting in many salvations, healings and deliverances on the streets of San Francisco. In 2006 God spoke through two Christian leaders in Tampa Bay over Jerry's international ministry and AE began launching MAT (Ministry Action Teams) to remote villages . Kingdom Life University opened mission campuses and started remote village evangelism and church planting. AE's passion is to take the gospel to villages that have never heard. This vision has continued to grow and AE now has over 60 national directors in 19 nations overseeing village evangelism and KLU campuses. Action Evangelism follows the biblical principles of toal integrity and responsiblity in using mission dollars effectively. AE wins souls at the astonishing cost of 10 cents each. It's because AE mobilizes Nationals who effectively go to remote villages and hold outdoor evangelism multi-media presentations. WEBSITE FOR "SMART PHONE MISSION"
Collect used smart phones from your church, family and friends. 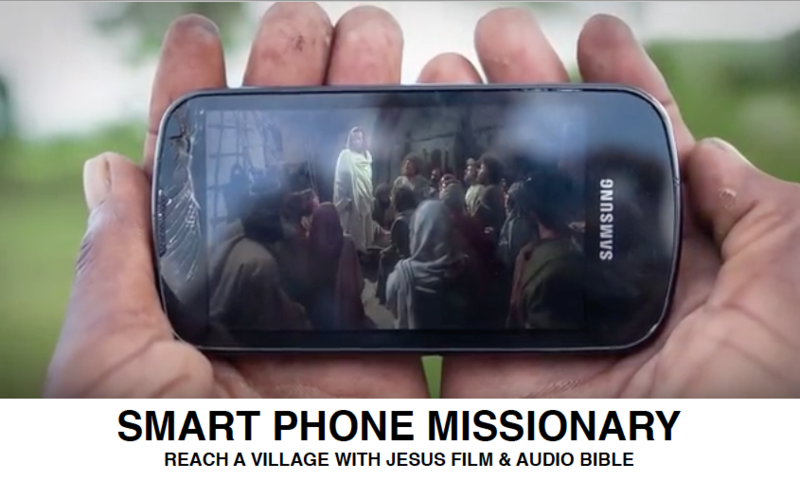 Your used phone becomes a "Smart Phone Missionary" to a village! WATCH 2 MIN. VIDEO TO SEE HOW THIS WORKS! & shipping. We have Nationals ready to distribute them. "Jesus Film" in the village dialect. A village representative will take it to each home. The phone will be solar charged during the day. "Make this Reoccuring" for auto monthly support.